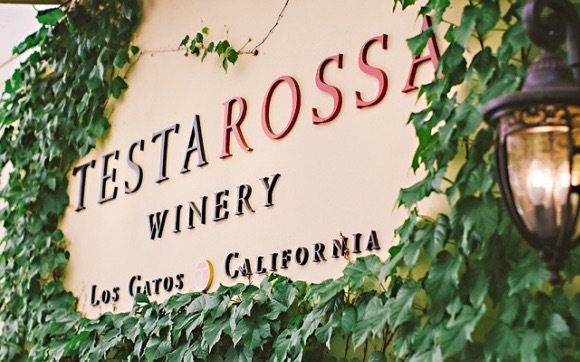 The Testarossa Winery, in Los Gatos, sources Chardonnay fruit from California’s best vineyards with special focus on Monterey’s Santa Lucia Highlands AVA. Bill Brosseau makes the wines and works closely with Testarossa’s growers. While these wines express the sites they come from, the firm hand of the winemaker is also present in the balance and texture of these outstanding 2015 Chardonnays. Testarossa is owned by Rob and Diana Jensen, who started their winery in a garage in 1993. We tasted wines with Rob and Diana at the winery while preparing our report on the Santa Lucia Highlands over seven years ago, and since that time we’ve reviewed new releases on a regular basis. Our assessment of this estate has been consistently highly positive over the years. Testarossa makes single vineyard wines, single appellation wines blended across vineyards, and California reserve wines that are blended across the state’s best vineyards. Our assessments of Testarossa’s new Pinot Noir releases will be included in a separate article to be published shortly. Testarossa 2015 Cuvée Los Gatos Chardonnay Santa Lucia Highlands ($24) 90+ Gold-flecked yellow straw. Sourced from several vineyards in the northern part of the Santa Lucia Highlands AVA, this is a well balanced Chardonnay with ripe but not overripe stone fruit and hints of mandarin and vanilla. The mouth feel is sensuous with natural acidity complementing and contrasting with the fruit. Aged 14 months in French oak, 13% new.Testarossa 2015 Chardonnay Sta. Rita Hills ($38) 91 Mineral-scented lemon drop and a hint of toasted hazelnut introduce this silky textured yet energetic Chardonnay from Santa Barbara’s Sta. Rita Hills. Densely packed with a remarkably pure finish that goes on and on. Testarossa 2015 Chardonnay Santa Lucia Highlands ($38) 91 Lively bouquet of lemon drop, citrus zest, and spicy orchard fruit giving way to a suave palate of yellow fruit and well-integrated creamy oak, finishing with juicy acidity. A beautifully balanced and integrated California Chardonnay. Matured 10.5 months in 33% new French oak. Testarossa 2014 Chardonnay Sierra Madre Vineyard Santa Maria Valley ($49) 92 Showing a hue of yellow gold, the Sierra Madre Vineyard Chardonnay reveals aromas and flavors of ripe apple and a melange of tropical fruits. It offers an expansive palate of juicy acidity with an integrated expression of fruit grown in the Santa Maria Valley. Testarossa 2015 Chardonnay Fogstone Vineyard Santa Lucia Highlands ($65) 93 Spectacular, marine influenced Chardonnay with a compelling sugar-acid balance. It presents optimally ripened fruit on a suave palate with underlying juicy lemony acidity. East facing and located at the northern end of the Santa Lucia Highlands at 250-400′ this is an especially cool vineyard site, one of the first to be hit by the cool fog coming in from the Monterey Bay. Testarossa 2015 Chardonnay Lone Oak Vineyard Santa Lucia Highlands ($49) 90 Medium dark gold. Aromatically expressive, showing mango, apricot and honeysuckle. Soft on the attack leading to a fat and juicy mouth feel. Packed with ripe fruit flavor. Testarossa 2015 Chardonnay Rosella’s Vineyard Santa Lucia Highlands ($49) 92 Rosella’s Vineyard, owned by Gary and Rosella Franscioni, has always been one of our favorites. On our last visit, Gary showed us the rows set aside for Testaross. The 2015 vintage reveals touches of Gravenstein apple, gun flint, and a hint of fresh thyme. Pure, vibrant orchard fruit permeates the palate and continue on to a persistent, flavorful finish. Testarossa 2015 Chardonnay Soberanes Vineyard Santa Lucia Highlands ($49) 92 Medium yellow straw. Vibrant bouquet of stone fruit and citrus peel. Finely sculpted palate showing crisp citrus fruit and lemony acidity, Dense, concentrated flavors persist on a long finish. Testarossa 2015 Chardonnay Tondre Grapefield Santa Lucia Highlands ($49) 92 The 2015 Tondre Grapefield Chardonnay is a lovely California-style Chardonnay offering ripe tropical citrus fruit flavors with hints of oak on the nose and the palate. It is nicely balanced with good flavor density, excellent balance and refinement. A delicious Chardonnay. Testarossa 2015 Chardonnay Brosseau Vineyard Chalone ($49) 92 Medium gold straw. Coaxing aromas of dried mango and gingerbread. Creamy texture with lively acidity and restrained flavors of honeycomb and dried fruit with a touch of salinity. The Brosseau Chardonnay is serious and savory. Testarossa 2015 Chardonnay La Rinconada Vineyard Sta Rita Hills ($49) 92 Buffeted by cool Pacific winds, the Chardonnay fruit from La Riconada makes for a wine that is especially refined and mineral like with penetrating lemon complicated by hints of green mango and flinty minerals. It’s precise and crisp on the palate and lingers on the finish forever. 11 months in 23% new French oak. Testarossa 2015 Chardonnay Rincon Vineyard Arroyo Grande Valley ($49) 90 Dark gold. An emphatic nose of stone fruit with hints of butterscotch and toasted marshmallow. Juicy and fresh on a soft, round palate with a moderately persistent finish. Testarossa 2015 Diana’s Chardonnay California ($72) 94 The 2015 is the best Diana’s Chardonnay yet, in our opinion. With coaxing aromas of flint, lemon oil and tropical fruit, it impresses with its nuanced, seamlessly integrated and balanced palate. Firm, lively acidity complements vibrant fruit and honeyed oak flavors. Diana’s Chardonnay is a blend of fruit from California’s outstanding Chardonnay vineyards, matured in 100% French oak, 44% new. Available to club members only. This entry was posted in California, Chardonnay, Countries and Regions, Uncategorized, White Wine, Wine Type and tagged Chardonnay, Featured, Santa Lucia Highlands, Sta. Rita Hills. Bookmark the permalink.